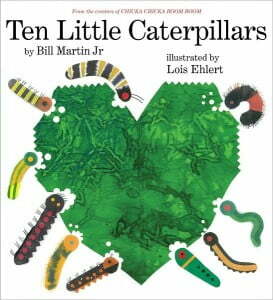 This beautiful book counts caterpillars in the garden up to ten. The back of the book highlights each caterpillar, what they eat, and the butterfly or moth that they turn into. A great book to introduce students to garden friends.